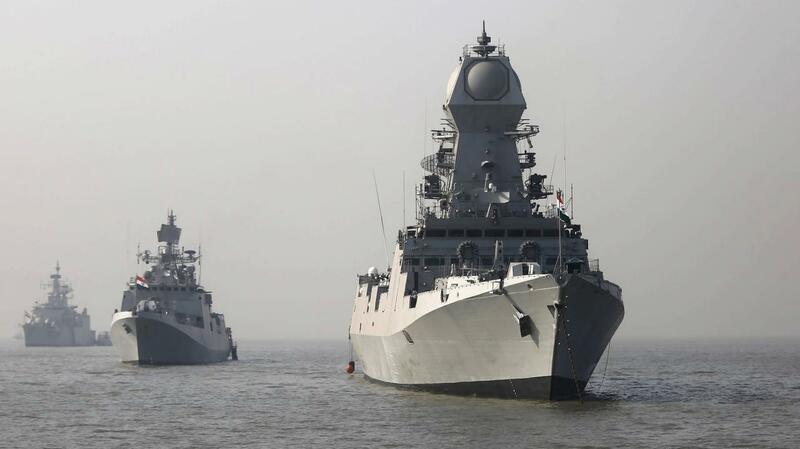 Indian warships on parade off the coast of Mumbai, via Reuters. A major naval deployment exercise called TROPEX 2019 involving some 60 ships and an equal number of aircraft had been slated to run from January to early March, but according to reports quickly turned into a real time operational situation following the Feb. 27 crisis over Kashmir. Notably, the games which had already been underway at the time of the crisis had involved the INS ‘Vikramaditya,’ a Russian-built aircraft carrier, and multiple other nuclear submarines essentially becoming "active" as the situation unfolded. 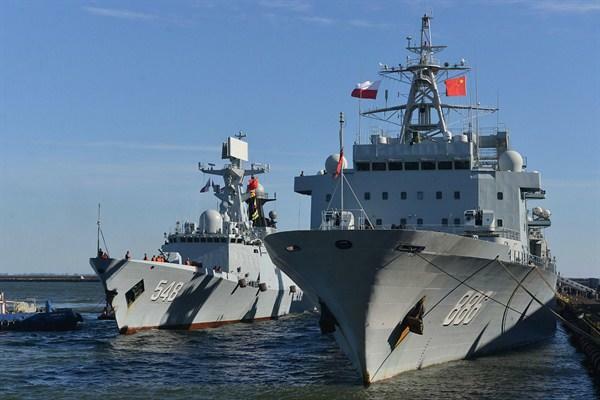 But now Indian analysts in an interview with Russia's RT have presented the interesting prospect that the TROPEX 2019 naval exercises-turned-"active" was "a clear signal to Beijing, rather than Islamabad." "China is using Pakistan as a tool to contain India, so the redeployment of an aircraft carrier, warships and nuclear-powered submarines to North Arabian Sea is a clear signal to Beijing, rather than Islamabad," the analysts, including former Indian envoy to Pakistan Gopalaswami Parthasarathy, told RT. He warned further that "China has a significantly larger navy than India’s, with a much more robust submarine force." Last year, following a terror attack on the Chinese consulate in Karachi reportedly by a group angered over China's deep investment and construction inroads into Pakistan as part of President Xi's Belt and Road initiative, which has seen $60 billion go toward China-Pakistan Economic Corridor, Chinese officials reaffirmed the bilateral alliance between Beijing and Islamabad as "higher than the mountains and deeper than the sea." Statements made at the time by Lijian Zhao, deputy chief of mission at the Chinese Embassy in Islamabad, described further that "The friendship has never been empty talks, but deeply imprinted in hearts of Chinese and Pakistani people." At the same time India and China have emerged as the region's largest economic and military rivals vying for influence in central Asia, and at times in recent history and beyond even entering into armed confrontations along disputed border sections.